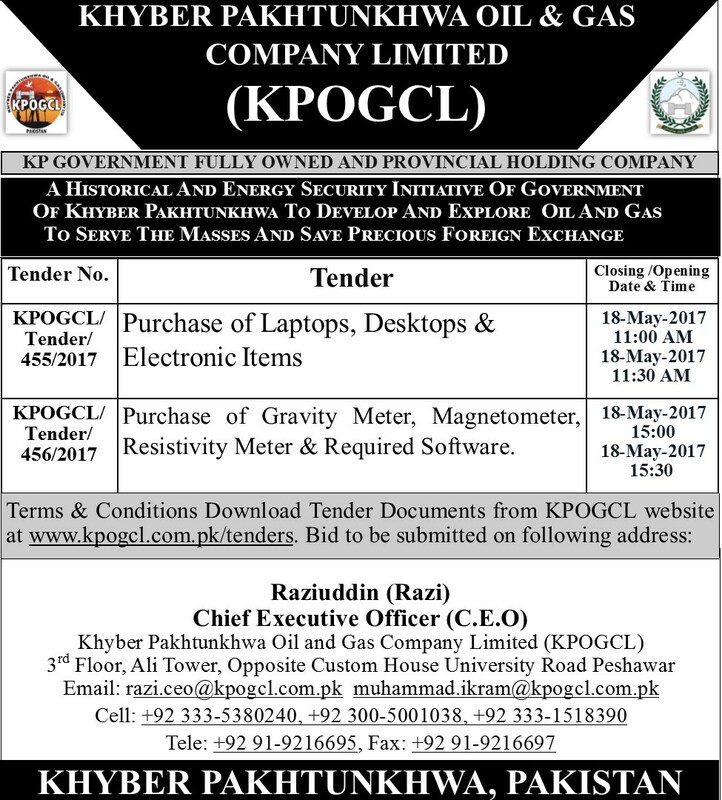 Tender for Purchase of Laptops, Desktops,Electronic Items Gravity Meter, Magnetometer, Resistivity Meter & Required Software. - KPOGCL - Oil And Gas Company Ltd.
Home/Expired Tenders/Tender for Purchase of Laptops, Desktops,Electronic Items Gravity Meter, Magnetometer, Resistivity Meter & Required Software. Click here to Purchase of Gravity Meter, Magnetometer, Resistivity Meter & Required Software.